The concept of a Fair Trade Town was recognized in the UK in 1999 when local members of Oxfam in Garstang England decided to raise local awareness of Fair Trade by establish the concept of a Fair Trade Town. The movement won the support of local businesses, churches, schools, town committee and the local media. A criteria for qualification as a Fair Trade Town was created and made needy on the number of retail stores and cafés supply Fair Trade products in comparison with the inhabitants. There was also a obligation for support from local faith groups, schools and the town council. Upon pleasing the criteria, in 1999, town council declared Garstang a Fair Trade Town. By 2006 there were more than 200 Fair Trade towns in the UK and by 2010 this number had grown to 400, counting Dublin, London and Edinburgh. 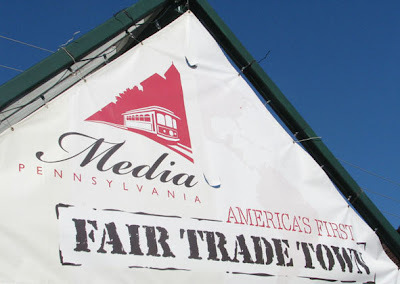 Fair Trade Towns were also appearing throughout Europe, New Zealand and United States. San Francisco qualified in May 2009. By 2006 there were more 200 Fair Trade towns in the UK and by 2009 this number had grown to 400, including Dublin, London and Edinburgh. Fair Trade Towns were also appearing all through Europe, Australia, New Zealand and United States. San Francisco qualified in May 2009. In Canada, Wolfville, Nova Scotia was declared, by town council, as Canada's Fair Trade Town in 2007. Smaller community such as, Port Colborne ON, Gimli MB, and Golden, B.C. was added in the following years, and in 2010 Vancouver and Barrie, Ontario qualified. More information is available at www.fairtradetowns.org and www.transfair.